Joan Chomak, M.S., CCC, has been a speech-language pathologist in Bay Area schools, hospitals, and clinics for over thirty years. 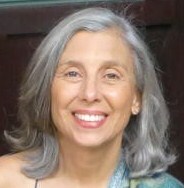 For the past twenty years she has provided individual therapy to children and adults in her office in Orinda, bringing to the practice her extensive education and experience in speech and language programs and techniques. She specializes in working with older children and adults.